The biggest family businesses are more likely to hire internal candidates when looking for a new CEO than externally, and the majority of internal candidates are from family members controlling the company, according to new research. In family businesses, where culture and personal relationships are critical, internal hires stand the best chance to success, says the executive search group Egon Zehnder, which carried out the research along with the membership group Family Business Network International. In the 50 firms surveyed, all with annual revenues of €500 million or more, 38% of CEOs were family members, and of those who were not, 54% were internal appointees and 46% external. Anecdotal evidence suggests that big listed non-family businesses typically hire many more of their CEOs externally, suggesting that loyalty and family play a bigger role when hiring at family businesses. 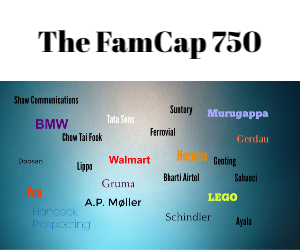 The research, which was published in the Harvard Business Review, went on to talk about the importance of for family businesses to preserve what Egon Zehnder called “family gravity”. To preserve “family gravity”, says Egon Zehnder, a family business will have at least one family member at the centre of their organisation, representing the clearly defined values and common vision, and with a strong personality to align differing interests. The research said that family businesses that follow a successful CEO succession tend to have a clear hierarchy for considering candidates, with family first, internal candidates second and external candidates last. The research also found the prevalence of supervisory or advisory boards among the family businesses surveyed. They had oversight on 94% of surveyed firms. The share of family members on these boards averaged 46% in Europe, 28% in North and South America, and 26% in Asia. Egon Zehnder, which works with many family businesses in hiring senior management, said the best family companies find their future leaders early and invest in them. Of the companies surveyed, 40% included potential next generation leaders on their boards and committees to develop their management and governance skills, and to ensure continuity of “family gravity”.